A new RIN device has been spotted hitting FCC labs called BlackBerry Style 9670. The BlackBerry 9670 will apparently comes with BlackBerry OS 6, 5MP camera, 624 MHz processor, WiFi 802.11b/g/n, dual-band CDMA, HVGA display, 4 GB internal storage, 512 MB memory, WebKit browser, universal search, and more. The device is at the FCC, meaning we could see it hitting some U.S. operator’s portfolio (Sprint?) in the near future. 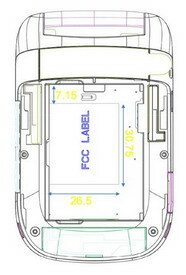 0 comments on "BlackBerry Style 9670 clamshell phone gets an FCC approval"